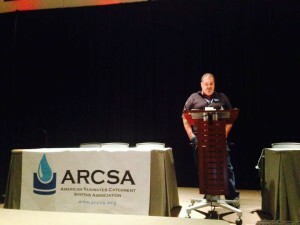 Ken has more than ten years’ experience in design and installation of systems and supports ARCSA as a lifetime member. He is an accredited professional, inspector specialist, as well as a published contributor to magazine articles, case studies, books and publications. Ken will be reaching out to local agencies and community organizations to educate them on best practices and benefits of rainwater collection and sustainable rainwater harvesting. 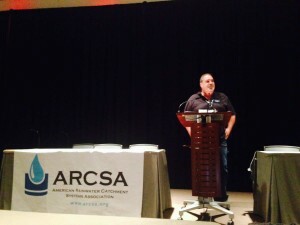 RainBank Rainwater Systems will share scheduled ARCSA events on our blog, as well as lending a hand with ARCSA events and education classes. Ken will be an advisor to the education committee of ARCSA and will assist with planning of local events and classes. If you are interested in more information, or have questions or comments concerning rainwater collection, please contact Ken Blair using the easy form below. As the weather begins to feel more like winter than autumn and our thoughts turn towards family and friends as the Thanksgiving holiday approaches, don’t neglect your gutter maintenance routine. No one likes to clean gutters – especially during the holiday season. But, with the winds blowing, this is the most important time of year to be on top of your gutters. Wind blows pine needles and leaves from shedding trees – not only into your yard, but into your gutters as well, causing obstructions in the gutters and downspouts. Organic matter, created by tannins in your stored water can be eliminated by removing debris from your gutters and screen baskets. While gutters should be inspected twice per month and cleaned as necessary to be sure your stored water remains clean and clear, this maintenance practice is most important at this time of year. Don’t let an accident spoil your holidays. Please remember to take care while on a ladder by following manufacturer’s safety guidelines. To eliminate the need to climb a ladder, gutter screening is the most effective measure of first line screening. Buy good quality gutter screens for high performance. An extruded framework with stainless steel meshing is desirable. 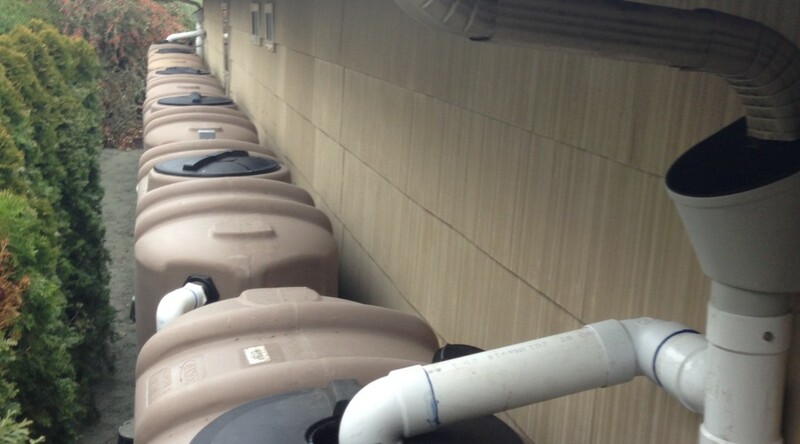 Don’t forget the screen baskets in either the sump tank or top of cisterns, too. They should be inspected a few times per month and cleaned as needed. These simple gutter maintenance tasks will help ensure collected water is safe and clean. 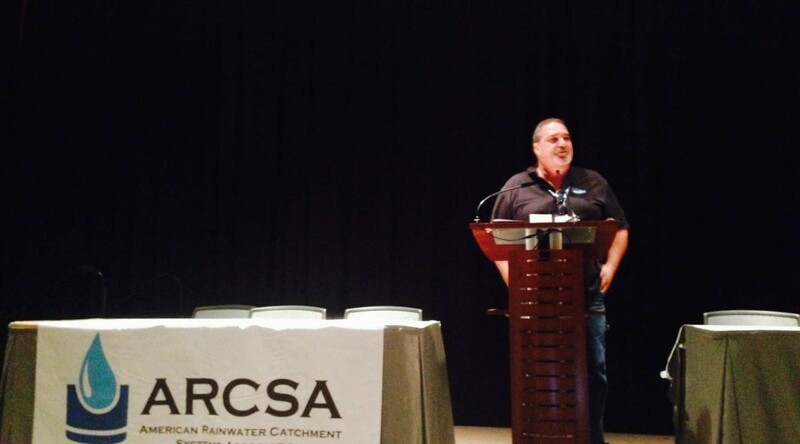 RainBank’s Ken Blair has been busy attending the American Rainwater Catchment Systems Association (ARCSA) conference in Phoenix, AZ. 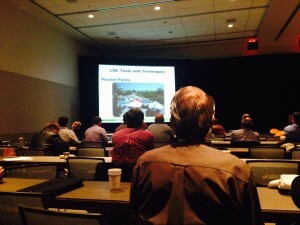 Yesterday, he delivered his own seminar on Urban Rainwater Case Studies. To further his own knowledge of the rainwater harvesting industry, Ken sat in on several other professional presentations: ARCSA’s involvement in community education, net zero water development concepts, a green plumbing technical overview, low impact development, and then gave his own presentation on urban rainwater case studies and its relation to storm water runoff. Today, Ken will attend an Inspection Specialist workshop. This class will advance Ken’s accredited professional endorsement to Inspection Specialist. Ken is also pleased to announce he was voted in as northwest regional representative of ARCSA and will be an advisor to the education committee. 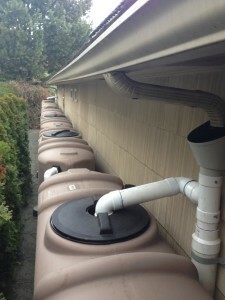 RainBank Rainwater Systems is proud to be part of this fine rainwater harvesting organization and is committed to help lead the way in its advancement of education and promotion of the rainwater collection industry.